The Pentagon has raised concerns about China's access to artificial-intelligence-based technology developed in the US, according to Reuters. The news agency says a leaked report proposes that export controls be updated to stop Chinese organisations being able to invest in some start-ups. It suggests the move is needed to prevent their advanced algorithms being repurposed for the military by Beijing. One expert said the report sounded credible. "Quite a few people in the US security establishment see China as a likely potential adversary," Prof Trevor Taylor, from the UK's Royal United Services Institute for Defence and Security Studies, told the BBC. "A message that's come through clearly from the Pentagon is that artificial intelligence and man-machine interfaces are going to be crucial for the US to restore the gap between its capabilities and that of others. "So, it's understandable that they would not want the Chinese to get access to American expertise. "And that innovation is widely associated with small firms that are seeking to secure funding." Reuters' report follows an appearance by Defence Secretary Jim Mattis at a Senate hearing on Tuesday. "For decades, the United States enjoyed uncontested or dominant superiority in every operating domain or realm... today, every operating domain - outer space, air, sea, undersea, land and cyber-space - is contested," he said. Gen Mattis added that the body responsible for reviewing company takeovers that posed security concerns had become "outdated" and needed to be "updated". Reuters quoted a Trump administration official as saying: "We're examining CFIUS [the committee on foreign investment in the US] to look at the long-term health and security of the US economy, given China's predatory practices." The news agency added that a senior Republican was drafting legislation to give the committee more power to block some technology investments, although the law is not expected to single out specific types of innovation. President Obama blocked the Chinese takeover of the German chip-maker Axitron on national security grounds last year. CFIUS's own actions tend to be kept secret, but it is thought to be responsible for Chinese companies failing to buy stakes in the military chip-maker GCS Holdings and the hard-disk-maker Western Digital. According to Reuters, the Pentagon is concerned that CFIUS's current remit does not extend to reviewing Chinese companies taking a stake or forming a joint venture with those involved in the development of early-stage technologies and in particular AI. 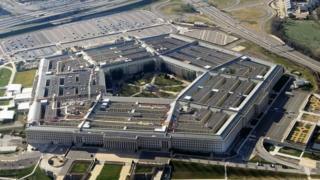 Such partnerships might deter the US Department of Defense from forming its own links to the business at a later stage. However, any interference might jeopardise US technology companies investing in China. For example, Google has taken a stake in the mobile voice company Mobvoi, while Apple has invested $1bn in Didi Chuxing, a car-hailing company working on self-driving technology. "As far as defence-related industries are concerned, the US has allowed significant investment by foreign firms - particularly British ones - in the past because it has said, 'We don't mind who owns it, so long as access to the knowledge within that organisation is strictly controlled, and if it's classified it does not leave the US,'" said Prof Taylor. "But this is now being [reconsidered] in the context of a wider concern about China."